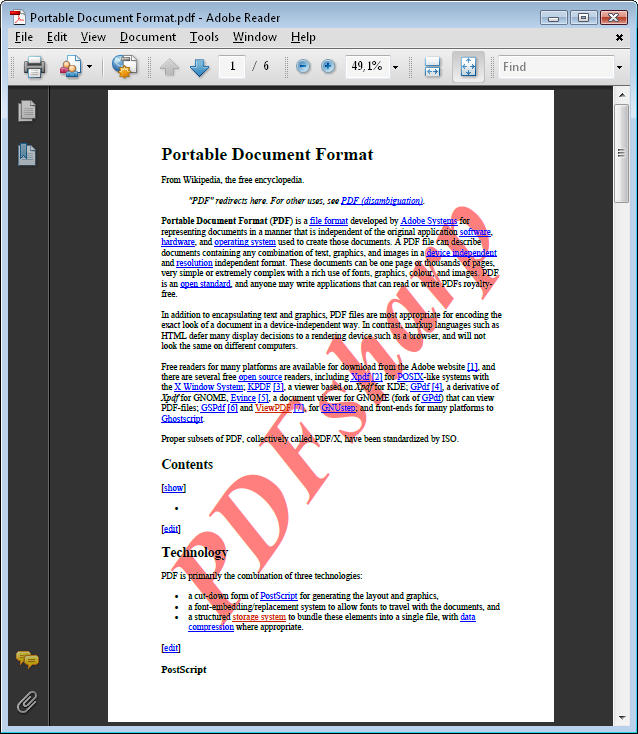 This sample shows three variations how to add a watermark to an existing PDF file. Note: Technically the watermarks in this sample are simple graphical output. 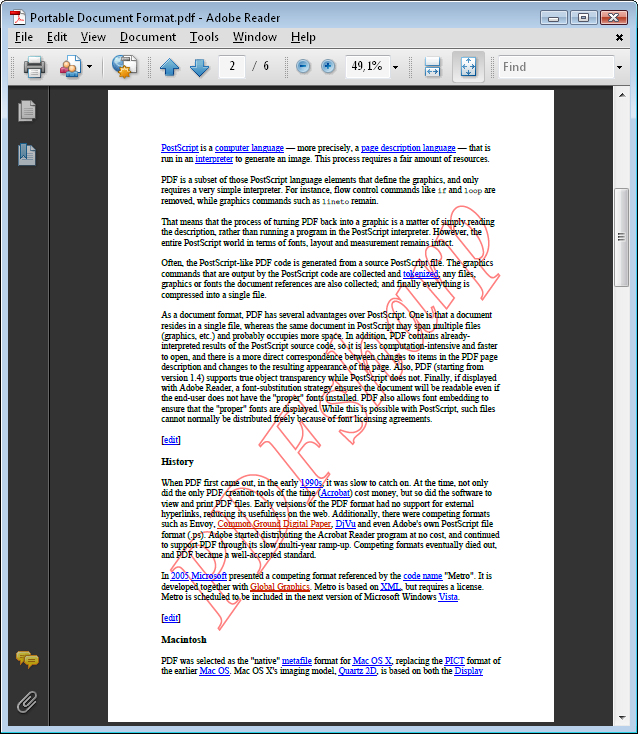 They have nothing to do with the Watermark Annotations introduced in PDF 1.6. 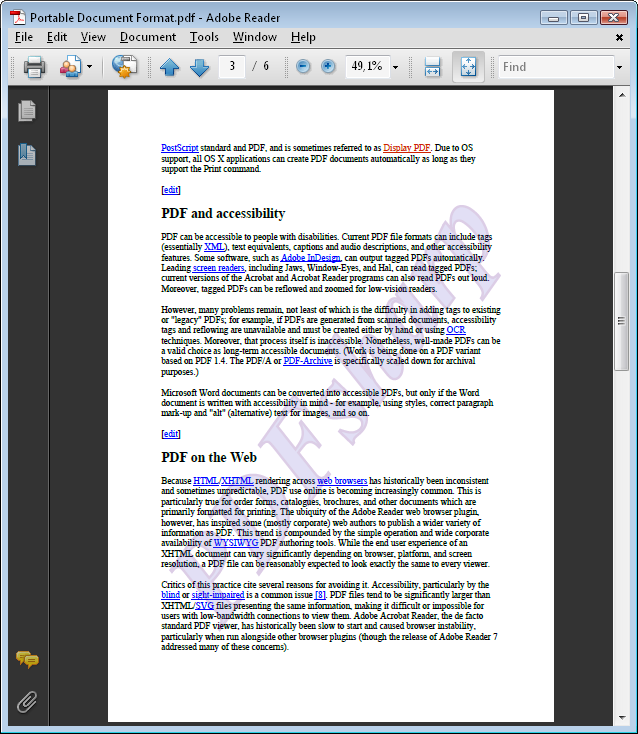 This sample requires Acrobat Reader 5.0 or higher because it uses / demonstrates transparency. // Variation 1: Draw a watermark as a text string. // Get an XGraphics object for drawing beneath the existing content. // Get the size (in points) of the text. // Define a rotation transformation at the center of the page. // Create a string format. // Create a dimmed red brush. // Variation 2: Draw a watermark as an outlined graphical path. // NYI: Does not work in Core build. // Create a graphical path. // Add the text to the path. // AddString is not implemented in PDFsharp Core. // Create a dimmed red pen. // Stroke the outline of the path. // Variation 3: Draw a watermark as a transparent graphical path above text. // Get an XGraphics object for drawing above the existing content. // Create a dimmed red pen and brush.